Our private patient advocacy service provides easy access to top UK health experts. We guide our patients with genuine choice and trust, offering a bespoke service - for anyone in the world seeking private UK healthcare. Medstars Concierge started purely from having the resources & time to help friends and family. We look to help you with the same sincerity, whether you are looking for a second opinion, mental health care or the top expert in their field for your problem. Navigating private healthcare can be stressful & complicated, and you wish you had a doctor at hand to personally guide you to the best solution. Identify the right private specialist for your needs. Complete peace of mind for your family. We find the best specialists and arrange a private appointment without any hassle. Fees cover Medstars Concierge service. Specialist fees & procedures are not included. Medstars Concierge is a personalised service that uses real doctors to help you find and arrange the best private healthcare in the UK. We draw upon our expert clinical network and knowledge to find the right clinician and service for you. Our experts will speak with you to find out what your requirements are and then shortlist up to three suitable options for you. Once you have chosen we will then simply set up the the appointment for you, on your behalf. How much does Medstars Concierge cost? A single concierge episode costs £250. Payment details will be taken following your initial conversation with one of our team. We will then arrange for you to have a telephone consultation with one of our expert doctors to understand what you are looking for. Please note, this fee does not include the price of your treatment - which is independent of Medstars, and may differ depending on your health insurance provider. How does Medstars Concierge work? Contact Medstars via phone, email or enquiry form, and arrange a telephone appointment with one of our expert, regulated doctors. This doctor will then take the time to get to know you and your medical requirements. Our team of experts will then research the ideal doctors, using their extensive clinical network to find the right specialist for you. We will then schedule the appointment for you. All you need to do is show up! What do you do with my personal details for a Medstars Concierge appointment? For Medstars Concierge, as well as contact details, during your telephone consultation you will also be asked broad details of your problem, including your symptoms, their duration, and any medication or treatment that you have already received. You will need to state any requirements you have for a suitable practitioner (for example, whether you want someone who practices near where you live or work, or if you wish to see a female doctor). We may need to pass some of the information you provide on to potential practitioners, but we understand that it is otherwise confidential, and will not share it with anyone else. The Medstars clinician you speak to will be a regulated health practitioner who will abide by the confidentiality rules of their professional body. Please do look at our terms and privacy policies. Additionally, we are registered with the Information Commissioner's Office Ref. ZA062209 and handle all data in accordance with the Data Protection Act. How do you find practitioners to recommend via Medstars Concierge? Medstars is run by expert practitioners. We therefore have a wide knowledge of the healthcare system, as well as a network of contacts in healthcare around the country. These are our starting points for finding suitable practitioners. We use online resources to research potential practitioners further, for example, to ensure that they provide private healthcare, and meet any requirements specified by patients, such as geographical location. Of course we check all potential providers against the regulators' lists to ensure that they are included. Once we have narrowed down the list, we make telephone contact with secretaries to ensure the practitioner will be available, what their initial fees are and to see how long patients have to wait for an appointment. My Insurance company sends me to a specialist – why do I need Medstars concierge? Your insurance company will send you to an appropriate specialist but there is no compulsion for them to find the best for your particular healthcare needs. For example you may need an operation on your knee. The insurance company may send you to an orthopaedic surgeon who has agreed to charge the insurance company the lowest fee for your care who can operate on knees but their real expertise is hip surgery. Medstars concierge will seek out and recommend a specialist whose primary expertise matches your need who will also match your insurance policy – maximising the benefit of your health insurance. Can I use Medstars Concierge from anywhere in the world? Yes. Medstars enables anyone to access the best UK private healthcare. If you choose to book an appointment with one of our UK health specialists, please note that you are responsible for your own travel, accommodation and visas for the duration of your visit. Please note that if you are calling from abroad, international calling charges may apply. 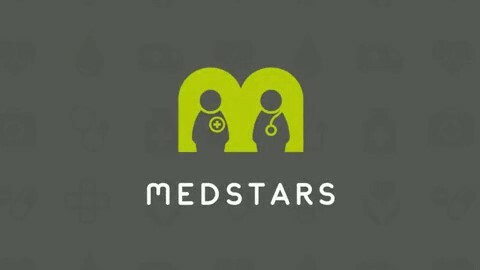 Can I use Medstars Concierge for someone else? Yes. Whether it's for you, a friend, or a loved one, the Medstars Concierge service can be used for anyone wishing to access UK private healthcare. As long as you have full permission to disclose their medical information, Medstars Concierge can be used from anywhere in the world. Please note that if you are calling from abroad, international calling charges may apply. My medical bills are confusing and I'm not sure if I am paying the correct amount, can Medstars help? Yes, when Medstars can manage your private medical bills for complete peace of mind. Please contact us for a quotation. How does Medstars decide who joins its community? Our ethos is simple. As doctors, we're asked all the time for peer recommendations. Doctors often do this for family and friends. So we showcase clinicians on Medstars that we would be happy to see ourselves or send our family members to. It's not an exact science, and we don't pretend to be impartial. In general, our practitioners are experts in their field with particular subspecialty expertise. Most work in the NHS as well as in private practice, as in the UK this is a good proxy for ongoing peer review, adherence to accepted clinical standards and governance. Many practice at the country's leading teaching hospitals. For the few doctors that are in full-time private practice, they have reached a high level of seniority and established their respected clinical and academic reputations whilst still in the NHS. We check that what they do in their private practice corresponds with their established expertise, experience and NHS practice. For our non-medical allied health professionals, we make sure that they are engaged with their professional bodies and are considered experts in their given fields by having gone well over and above the basics of what is expected in their profession. We ask their colleagues what they think of them - it's what we would do before going to see someone ourselves. And we interview all of them over the year and gather patient feedback to understand the soft stuff like interpersonal skills. It's important to us and the patients who use Medstars that they are good human beings as well. These things really matter when you are worried about your health and are looking for someone you can trust. And finally, if we find that any of our practitioners haven't adhered to our values around transparency when it comes to expertise, pricing or behaviour, we ask them nicely to step down. Why should I subscribe to Medstars Concierge? By joining as a member and paying a small monthly retainer you can use our service as many times as you need to help you access the best advice and healthcare. This is perfect for individuals and families who wish to have the complete peace of mind that comes from knowing you can ask experienced doctors advice about your healthcare options. It's what doctors have always done for their family and friends when they become ill. We do not provide emergency healthcare. Can Medstars Concierge reduce my sickness rates in my business? Yes. By actively managing the healthcare choices and ensuring your staff get to the correct care, first time and as quickly as possible we can reduce their time off work and cost you less. Businesses who join our Medstars Concierge have the found that the associated costs of employee sickness are significantly reduced. Sign up your workforce and start saving time and money. Get in touch to find out more. I have cancer, can you help me get a second opinion? Yes, Medstars Concierge is a perfect way of reviewing and optimising the treatment of your cancer. We can arrange for you to have a second opinion by leading experts and optimise your care. Becoming a member of our Concierge service is really useful way of having access to experts as your treatment progresses - true peace of mind. Didn't find what you were looking for? Please get in touch.